I spent six hours photographing bottles and dry ice for a book cover, and I decided to shoot plenty of stock images while I was doing it. There aren't a lot of options for "Magic Potion" or "Potion Bottles" on the stock sites, so I made plenty! 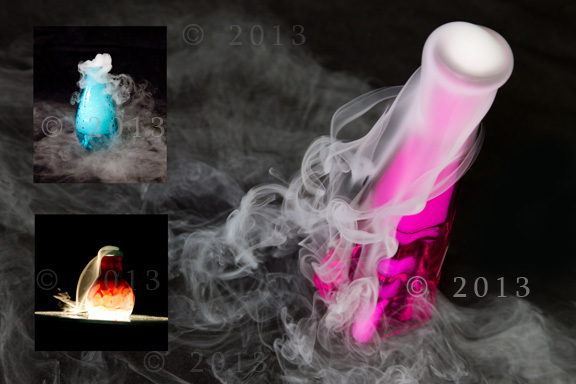 Images like these will go live on Dreamstime very soon (unless they get bought out as exclusives)! We'll be moving our art to a new stock art site VERY SOON! While it was fun hosting our own domain for a while, we needed a bit more exposure to the general stock photo market. So stay tuned about where all our art has gone! 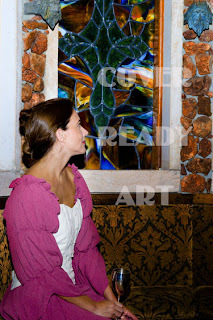 While you wait, take a look at one of our recent shoots at a wonderful location with a beautiful model in historic dress! Recently we were involved in an anthology project for middle grade writers where a designer needed an image of a girl entering a garden door to use as the basis of an illustration. We did a photo shoot to provide the artist a reference image and will be uploading the rest for use on your books! We shot both a young girl in a gorgeous white dress for a classic look and a young teen girl in modern clothes for a YA look. We hope you love them! 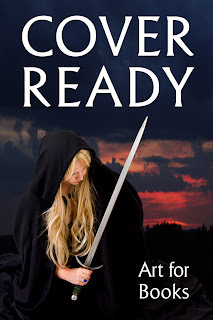 Cover Ready Art was born on the Kindle Boards, an amazing community of writers and readers of ebooks. 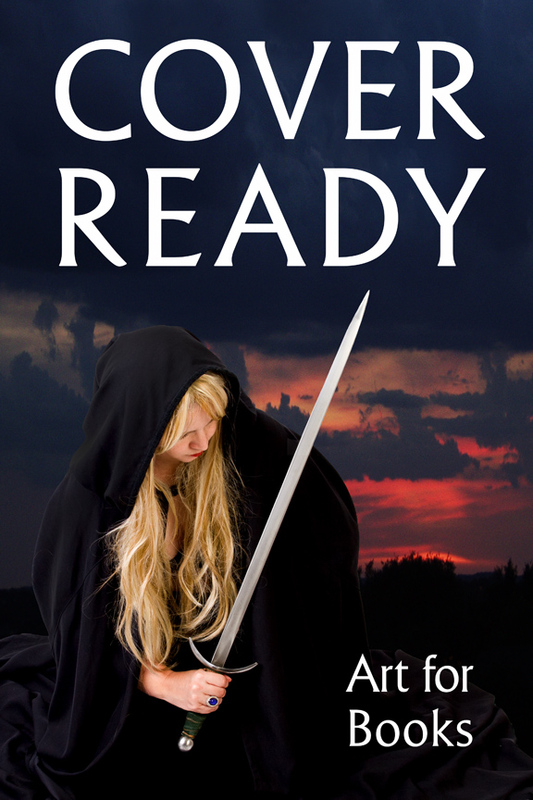 I was whining (and I do like to whine) about how hard it was to find original stock art to use for the covers of indie published novels. Someone pointed out--hey--aren't you a photographer? And I realized, yes, yes I am! The bluebonnets in the Hill Country here in Texas inspired me to put out a call for recent brides to get images in the flowers in exchange for a model release for me to photograph them doing not-so-bride-like things (you know, choking another bride with pearls, pulling a knife on the groom). I had four brides come for images and the first shoots were set! When three friends decided to shoot together, I hired hunky mail model Gene Williams to come in and play the groom. We had entirely too much fun with the shoots! We can't wait to see the books and covers that come from these images. And we're not stopping here. Our next mega-shoot will be for historicals. We're talking stylists, a major costume shop, and the most incredible setting you could imagine. If you have an idea for a cover you would like us to consider on our next shoot, leave it in the comments and we'll add it to the shot list. Realize Deanna is getting married herself in just a few weeks (EEK--what am I doing HERE!) so our next major shoots will be in the fall. 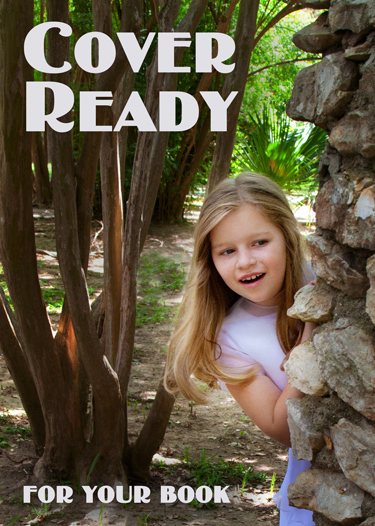 Texas will be TOO HOT for outdoor shoots until late September.